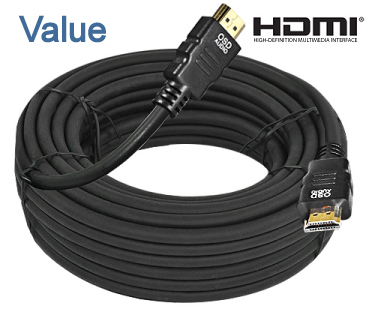 Customers are always amazed by the low price of our cable, even HDMI cable 50 feet long! 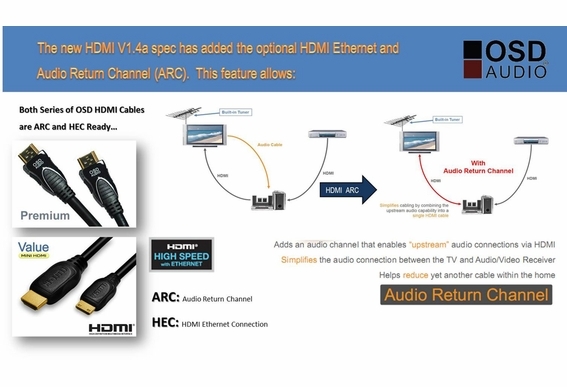 Folks often ask what the difference is between the Value and the Premium HDMI brands. They're essentially the same except the Premium brand includes a nickel-plated black metal housing for extra durability. The extra rugged housing is a nice feature if you plan on plugging and unplugging the cable frequently. 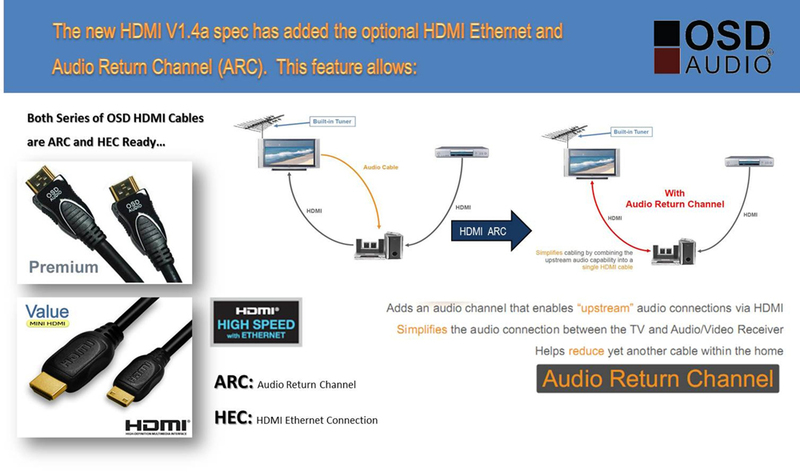 Both Premium and Value lines include V1.3 and V1.4 cable that support 1440p for 3D TV applications. OSD Audio HDMI cable transmits frequencies up to 10GHZ bps and transmit high quality multi-channel audio data. The OSD Audio brand of HDMI cables support all standard and high-definition consumer electronics video formats and transmit control and status information in both directions. 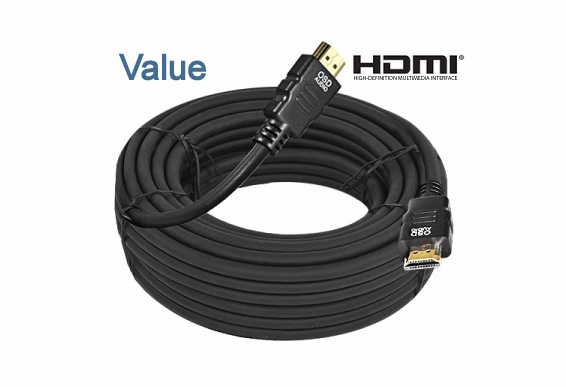 We won't try to confuse you with exaggerated claims about our HDMI cable, because we know you will be 100% satisfied with the performance and the price.